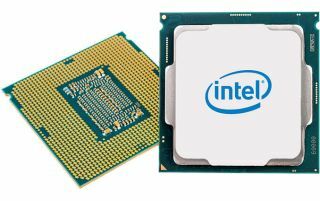 Rumors and leaks about the Intel Core i7-8086K have been all over the web, so it was almost inevitable that we would see it at Computex 2018 – and now it’s finally official. As previous reports suggested, the Intel Core i7-8068K is the brand’s most souped-up Coffee Lake desktop processor to date. Intel calls it the first ever CPU to reach a 5.0GHz turbo frequency – and that’s all without overclocking the chip. Otherwise the processor is outfitted with six cores and 12 threads, plus a base clockspeed of 4.0GHz. Comparatively, that’s 300GHz faster than the company’s previous Coffee Lake flagship Intel Core i7-8700K, and its TDP is still rated at the same 95W. The processor was announced as part of the run-up to Intel's 50th anniversary on June 18. As part of the festivities, Intel plans on giving away 8,086 Intel Core i7-8086K processors via a sweepstakes on its website. Aside from the new processor, Intel talked about the future of its product lines. On the mobile side, Intel is planning a few more new mobile entries in the Amber Lake Y-series and Whiskey Lake U-series. Supposedly, these new mobile chipsets will deliver up to "double-digit" improvements over the current Coffee Lake series. New X-series and next-generation S-series chips are also on the roadmap for desktops processors later this year, so we may well see Cannon Lake sooner than we thought.